Maungakiekie Glass has been operating since 1993. 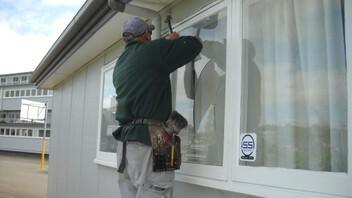 Most work comes from regular customers servicing local schools, property managers, builders & painters! Highly recommend Kerry for quick and friendly service - we called on a Saturday with a broken window and he arrived within a couple of hours to fix it, very impressed! I can not recommend Kerry’s service highly enough! He was there straight after my phone call, and fixed the window professionally, quickly and safely...plus he was far cheaper than any other place around on a Sunday. Extremely happy with the service. A very honest man. Forget about Auckland Glass!!! This guy was fantastic, came on the day I rang, measured and quoted and was here the next day to replace Cathedral Glass. Excellent work, Am recommending him to everyone I know.